Last week I was one of the many watching the al-Jazeera documentary on the ‘Israel Lobby’ in the United Kingdom. Indeed, I am genuinely concerned about how certain political groups, describing themselves as pro-Israel, are so effective in lobbying for the most hawkish Israeli cabinets with Western governments. But my opinion is that those groups, far from what maybe Netanyahu (and Al Jazeera) believes, do not represent ‘Israel’ in total. They might represent a lobby for certain Israeli political factions at best. For example, when in 1994 Rabin was Israeli Prime Minister, the ‘pro-Israel’ AIPAC lobbied hard with the US congress to delay the implementation of the Oslo agreements his envoys negotiated with the PLO. That is why I was disappointed with Al Jazeera’s documentary. 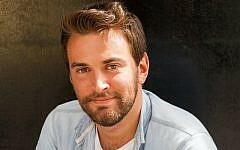 Rather than providing an insight of how certain political groups work, it took an undercover journalist to secretly film what protagonists of completely different political environments. All these groups, I see the documentary implying, are involved in an Israeli-mastered plot to bring down Jeremy Corbyn, the Labour Party leader, and Malia Bouattia, the National Union of Students’ president. I want to give four reasons why I believe the documentary gives a wrong picture. First of all, I personally do not believe Israeli institutions are any scared of Corbyn (and even less of the British NUS). The Labour leader, who has promptly called for an investigation (thus reminding the British public he is alive and well), is never going to be in any position of power. 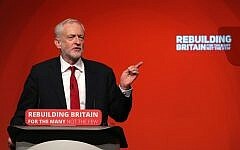 His approval ratings among Labour supporters are lower than Theresa May’s, as reported by the Huffington Post in August 2016. The more recent YouGov gives him a -5 positivity. With such ratings, I hope the Israeli mission in London has better priorities. 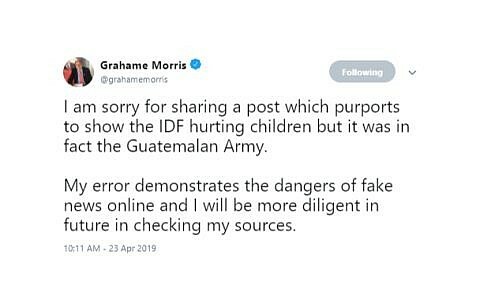 Secondly, the only thing Al Jazeera revealed was the unprofessional behaviour of both an Israeli employee of the embassy (not a career diplomat), Shai Masot, and of a British civil servant, Maria Strizzolo. Both of them have taken responsibility and resigned their posts. Mark Regev has apologised for his now former employee’s comments on ‘taking down some British politicians’. Thirdly, many of the groups the ‘investigation’ targets have different political purposes. For example, the Jewish Labour Movement and Labour Friends of Israel. The former is the umbrella for Jews in the Labour Party, and represents different political positions. 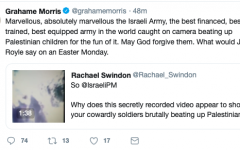 It would surprise those who contributed to the documentary that Corbyn supporters are also in the JLM, including one sitting in the party’s recently elected National Executive Committee, Rhea Wolfson. Labour Friends of Israel is in effect a pro-Israel lobby. As such, the reason it was set set up in the first place is fairly different from JLM’s. Moreover, with regards to the UJS, this is the British Union of Jewish student. 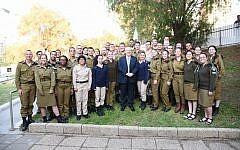 Israel-engagement represents a fraction of their work. The funding it receives from Israel is crystal-clear and given the state’s Jewish character hardly surprising. 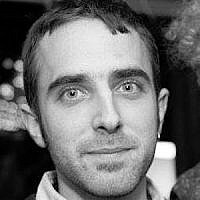 One can agree or less with its current political direction, but the fact this year a pro-BDS candidate, Eran Cohen, was allowed to stand, would dismiss the intrinsic argument line of the documentary that such union is part of a large conspiracy bent on taking down Jeremy Corbyn and Malia Bouattia. 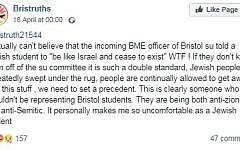 With regards to her, I have seen few students’ union taking a principled stand against her over the top comments, defining Birmingham University ‘a Zionist outpost’. Maybe she did not think she was offensive. And let us also think she did not refer to Birmingham University’s very large Jewish student society. However, when in front of different letters Jewish students have signed calling for her to apologise she responds with the usual ‘I am an anti-racist I could never be an anti-Semite so stop taking an issue with me’ kind of answer, it is natural the union defending Jewish students takes a stand. Fourthly, I suggest to Al Jazeera to look at the broader picture in Labour issues with anti-Semitism. It was not a single episode, but at least three or four major ones coming on the national news in a few months. It all started at Oxford, and it was not merely the vote in favour of Israel Apartheid Week by the University’s Labour Club. In that club, Jewish members talking of anti-Semitic attitudes they saw in others were compared to ‘straight men’s concerns in an LGBT environment’. Later in April, there was a senior Labour figure, Ken Livingstone, justifying a fellow MP (Naz Shah, who later remarkably apologised) by claiming Hitler ‘was a Zionist before he went mad and killed six million Jews’. Also, the former Momentum co-chair Jackie Walker, to which Al Jazeera seems to give disproportionate attention on the second show, had come under fire well before Labour Conference. Earlier in May, she went on record linking British Jews to the Slave trade. Also, the fact she claims Jewish ancestry does not justify such collection of statements. My concluding note is this: if after having read this article your first thought is what the present author thinks of Israel/Palestine, then you are part of the problem.